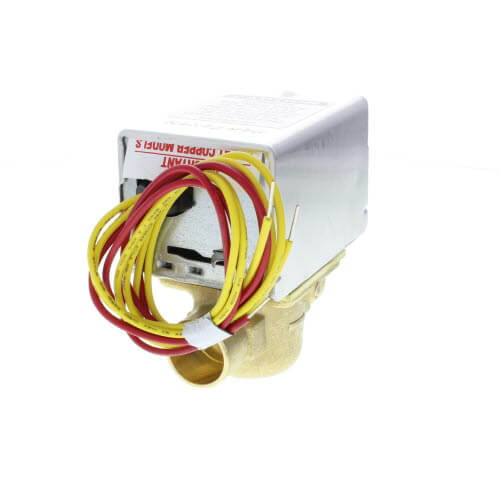 Honeywell V8043E1012 is a 3/4" Sweat Connection Motorized two-way on-off low voltage Zone Valve. 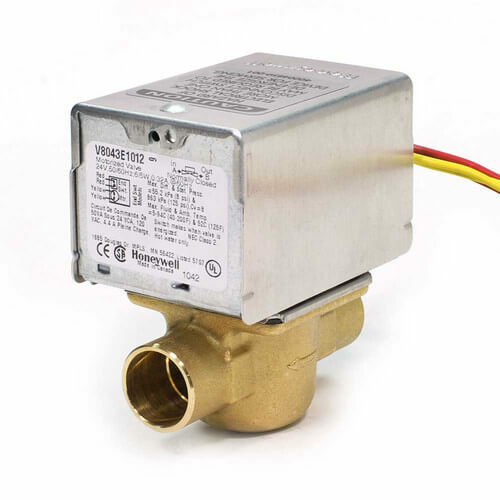 Honeywell Zone Valves V8043 consists of an actuator and valve assembly for controlling the flow of hot water. Hydronic Control. Use this valve in closed loop hydronic systems that do not contain dissolved oxygen in system water, such as fresh water from frequent source of makeup water.